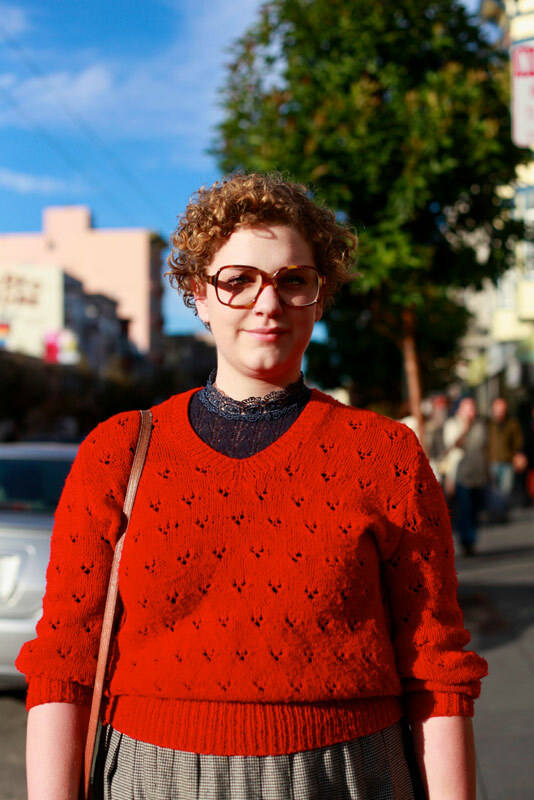 "Vintage, probably the 50's and comfortability and warmth." 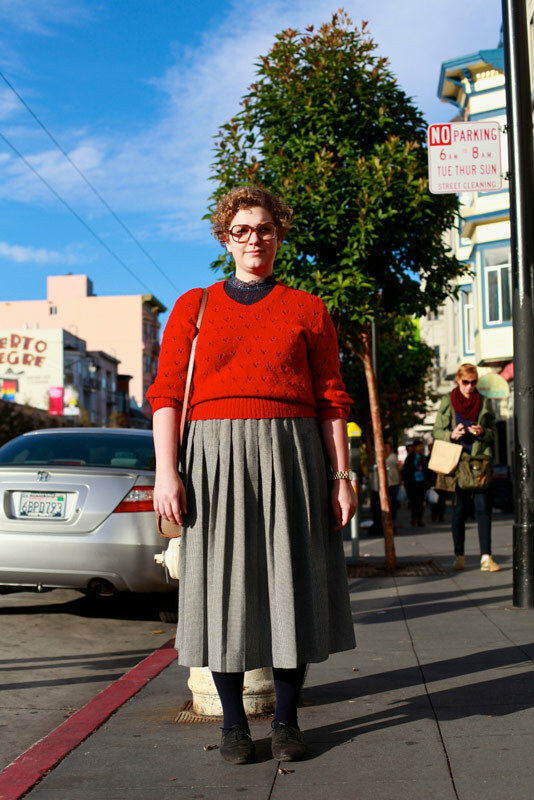 I like her pleated skirt, the perforated design on her red sweater, and how she looks like she might be a bit ruffled fashion genius (there are signs, like her lace blouse with its high collar underneath her sweater, her well-worn oxfords, and her tortoise shell frames). 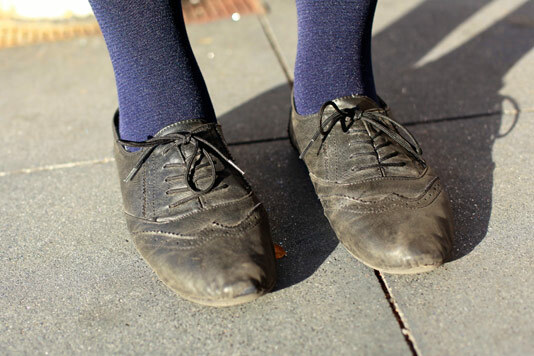 A close look at the aforementioned, well-worn oxfords. Wow I really like that sweater!